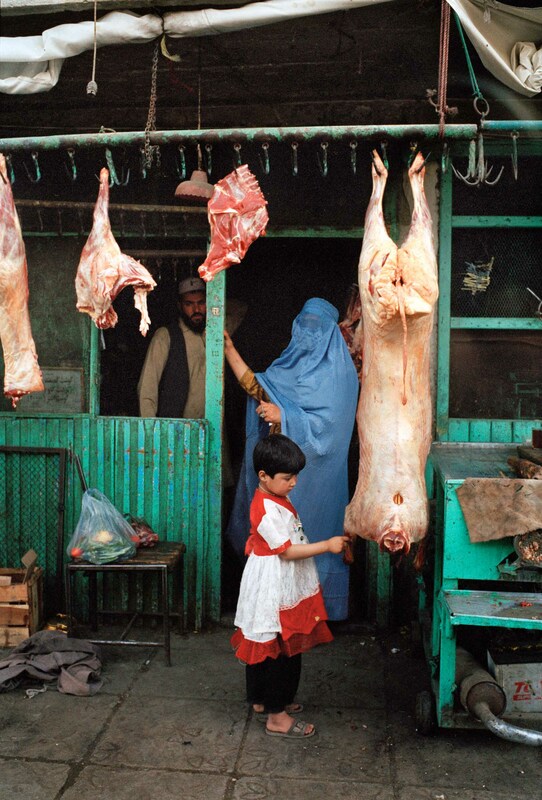 Kabul, Afghanistan - on june 2001. 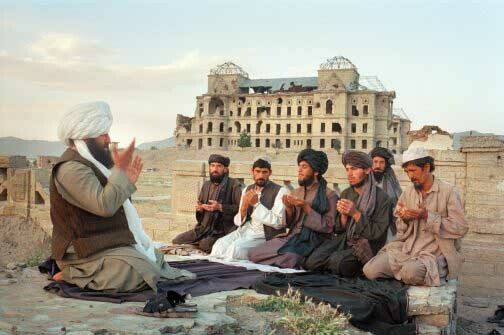 A Taliban group praying in front of Darul Aman Palace. 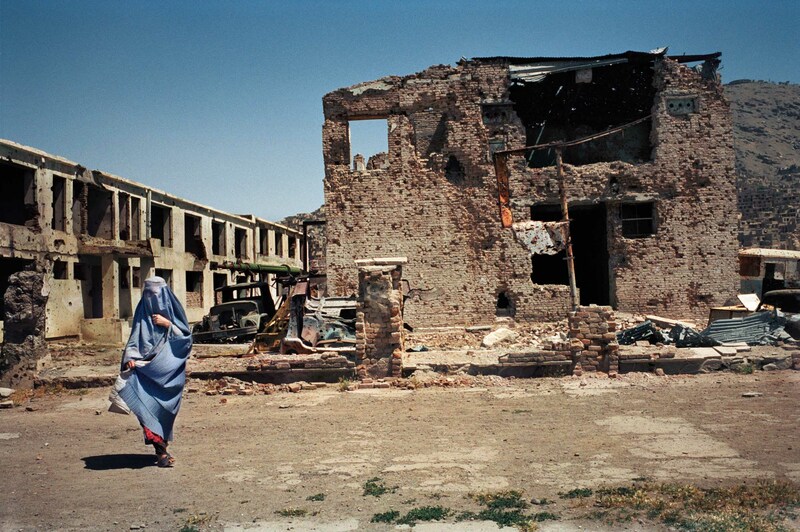 The Royal palace was destroyed during the civil war, between 1992 and 1996, on june 2001, Afghanistan. Kabul, Afghanistan - on june 2001. A group of widows in a shelter for poor and unprivileged people. 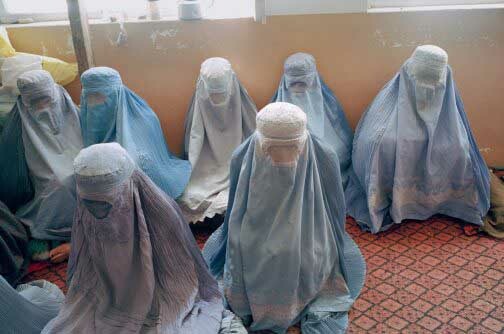 In Afghanistan, where women are not allowed to work (except in the medical sector), the widows’ condition is a tragedy. 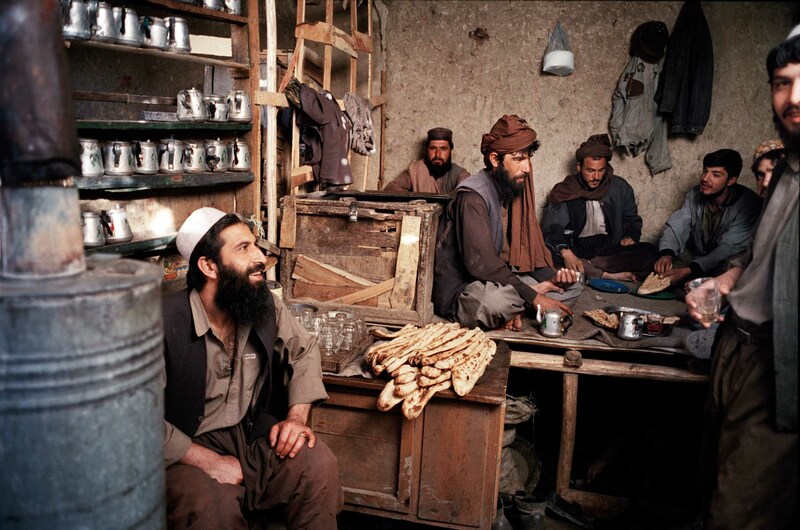 Except clandestine jobs at home, they can survive only through the bread-making of the World Food program, on june 2001, Afghanistan. 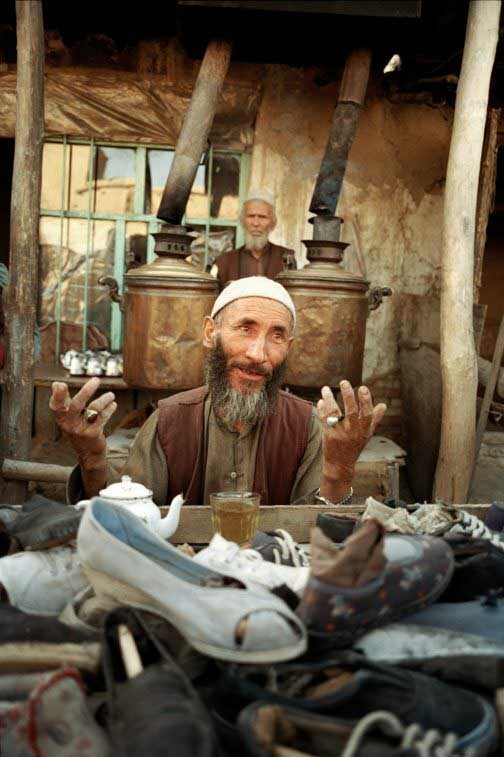 : Kabul, Afghanistan - on june 2001.Rika Khana area, downtown Kabul. 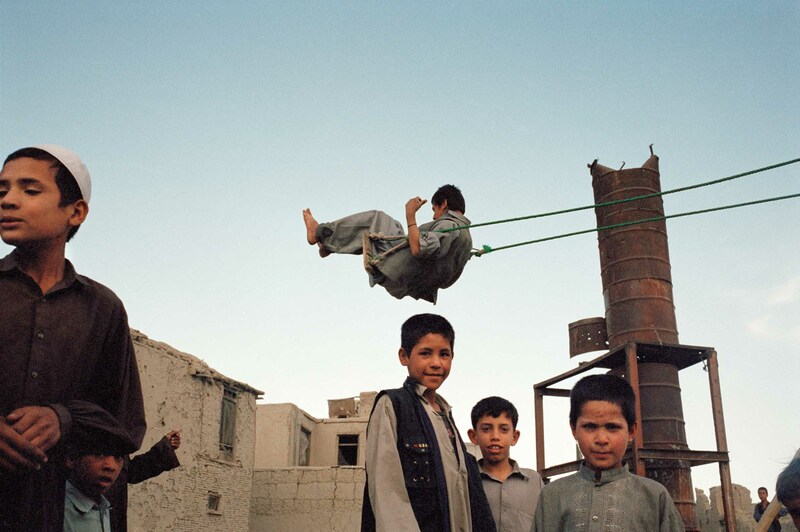 Even for chidren, there are few entertainment, on june 2001, Afghanistan. 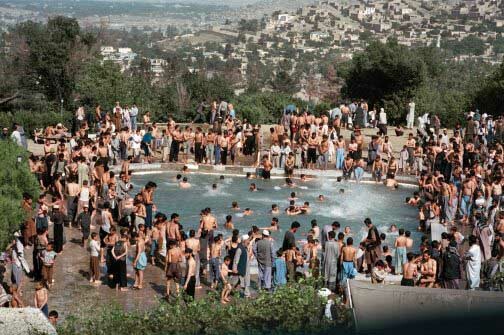 Kabul, Afghanistan - on june 2001. Early prayer within the largest coranic school in the world, which was formerly a French school, the « Isteqlal Lycée ». In secondary school, pupils spend half of the time in religious classes, on june 2001, Afghanistan. Kabul, Afghanistan - on june 2001. Jaday Maiwan area downtown Kabul, which used to be Kabul’s « Champs-Elysées » before the war. 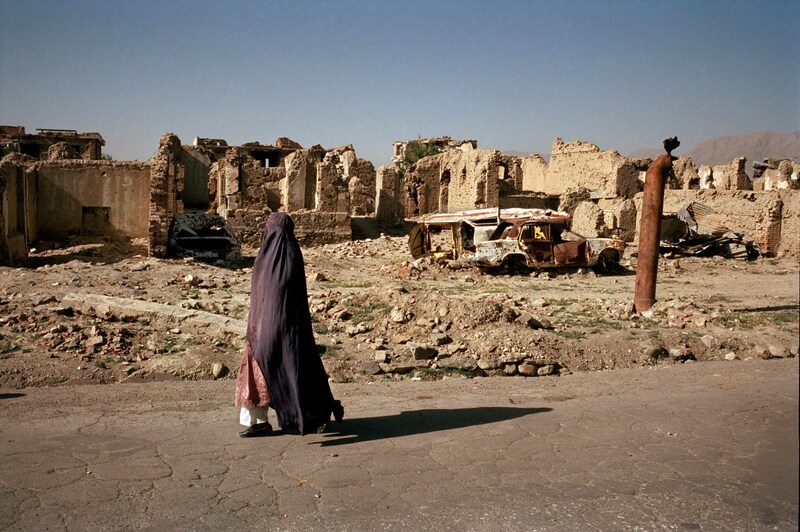 About half of the city was destroyed during the civil war from 1992 to 1996, on june 2001, Afghanistan. 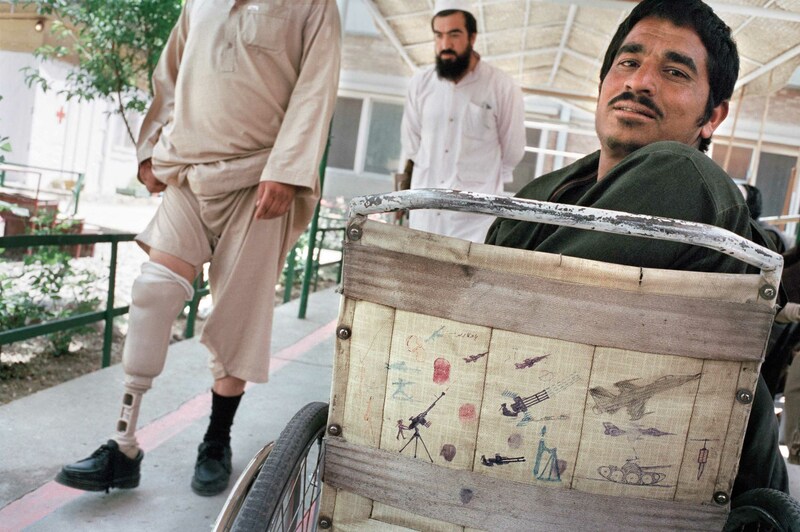 Kabul, Afghanistan - on june 2001. Clandestine school for girls. 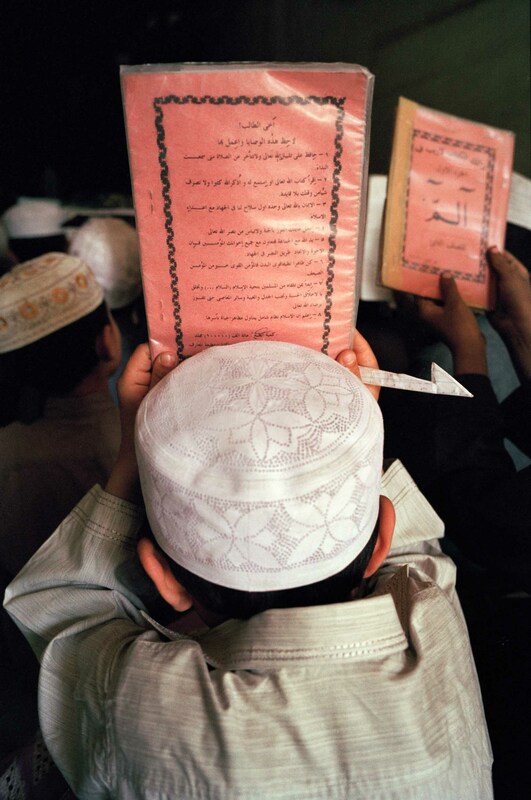 Hundreds of private schools are opened in Kabul. 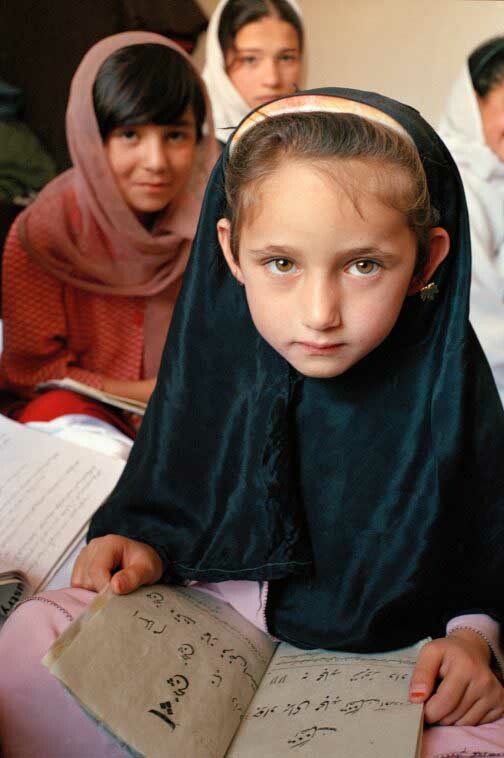 Despite of some authoritative closings, these schools are more or less tolerated by the taliban administration. 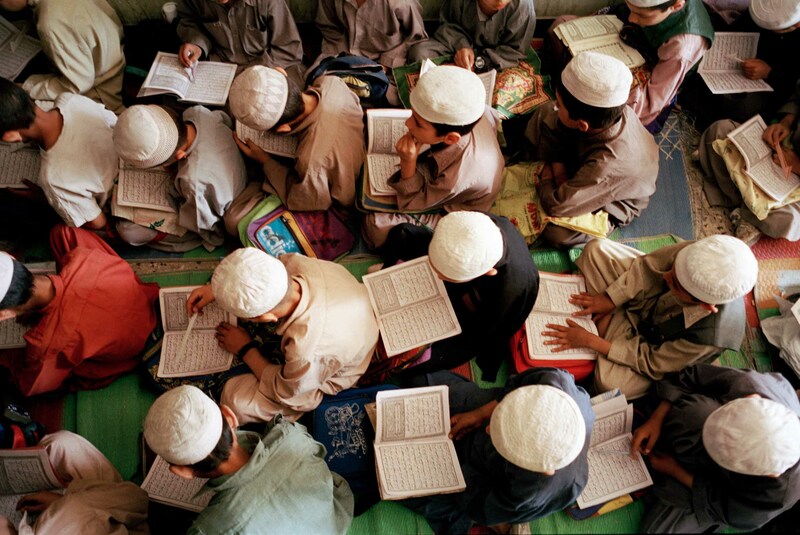 Under cover of coranic education, they teach some mathematics and Persan. 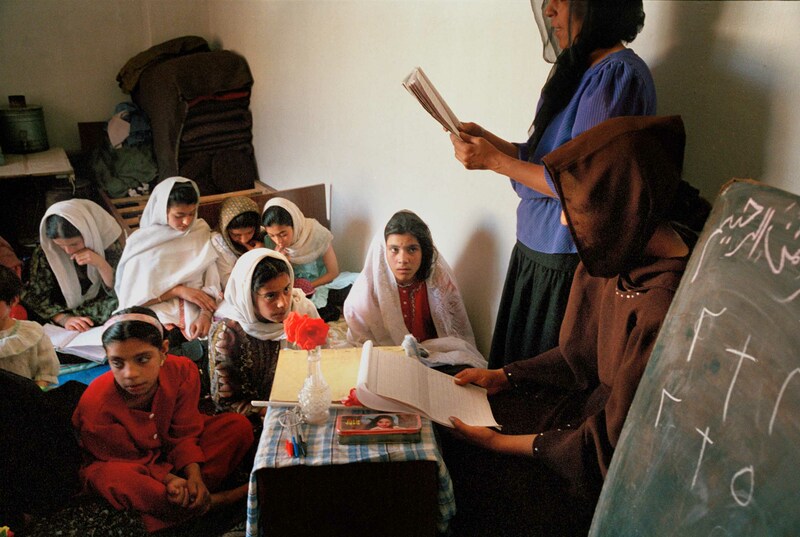 The Swedish Committee for Afghanistan runs hundreds of those schools in the countryside, far away from Kabul, on june 2001, Afghanistan. 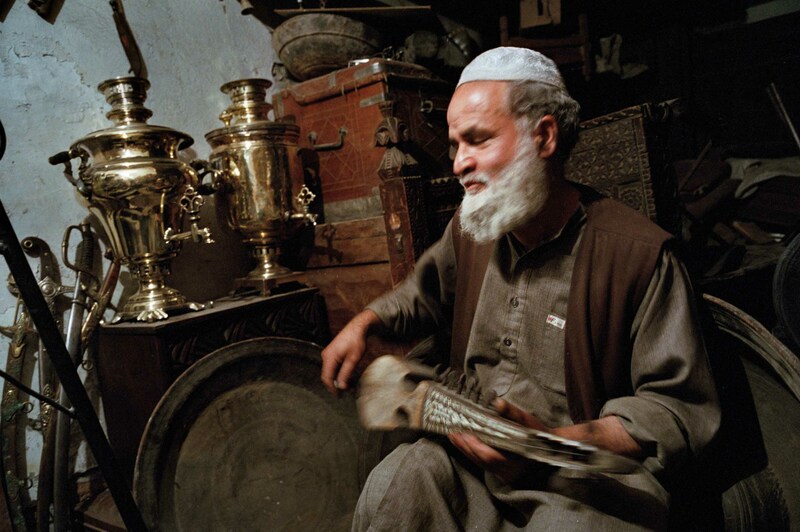 Kabul, Afghanistan - on june 2001. Butcher’s shop street, in Shahre Naw area. Meat is outrageously expensive for most Afghan people. « I don’t even remember what it tastes like », a woman we met said, on june 2001, Afghanistan. 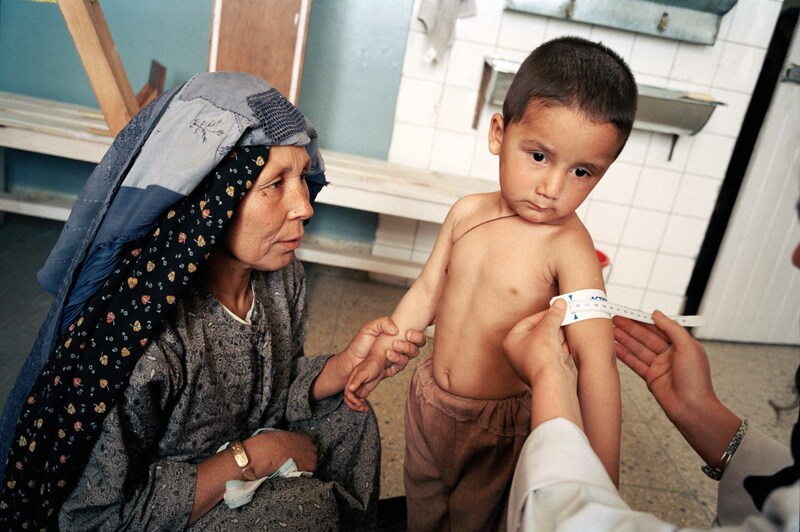 Kabul, Afghanistan - on june 2001. Mathematics class at the Isteqlal Lycée. The lesson starts with the reading of a verse from the Coran, on june 2001, Afghanistan. 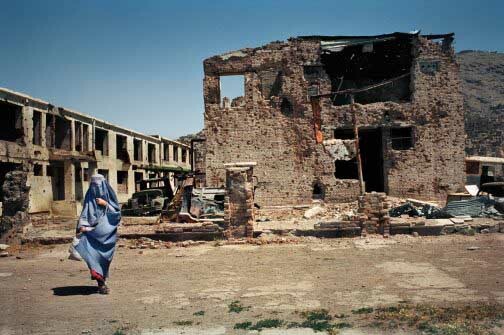 Kabul, Afghanistan - on june 2001.The west side of Kabul have been totaly destroyed as in Kotay San area, on june 2001, Afghanistan. Kabul, Afghanistan - on june 2001. Chicken Street. This area was formerly the antique shops area. Today, it is the only part of Kabul where few rich people can buy luxurious or imported products, on june 2001, Afghanistan. 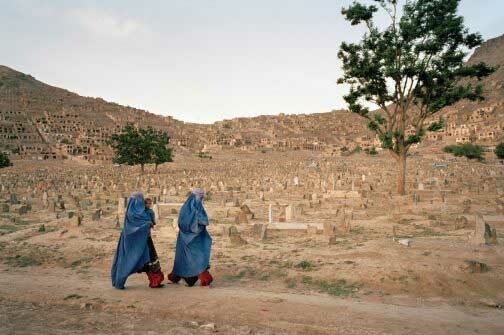 Kabul, Afghanistan - on june 2001. A shop in Shahre Naw area, downtown Kabul. Under the veil (tchâdri), now compulsory, women can be incredibly elegant, wearing nice dresses, jewels, patent shoes. As a defiance ? on june 2001, Afghanistan. 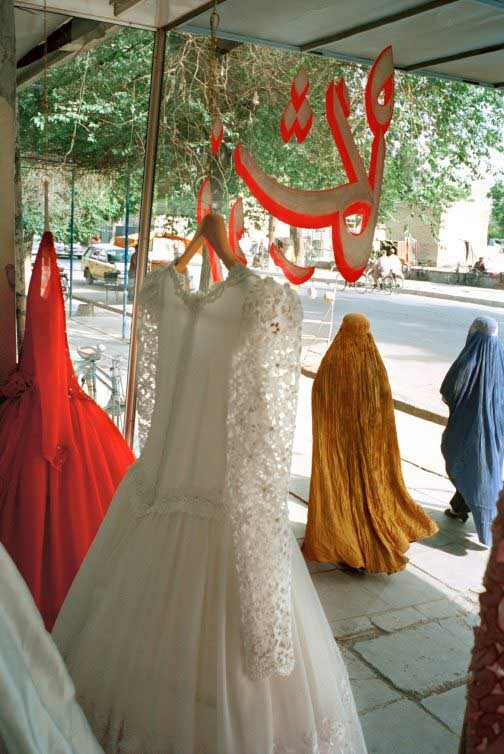 Kabul, Afghanistan - on june 2001. A French humanitarian organization’s clinic. In principle, male doctors are not allowed to examine women. 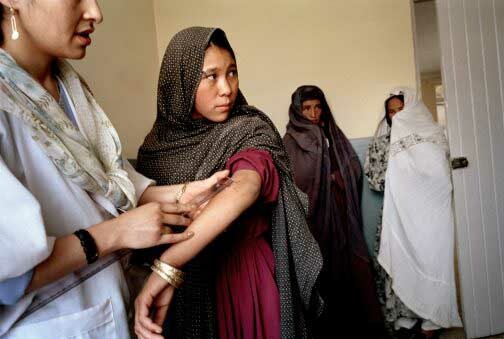 But a lot of nurses and female medical people have run away to foreign countries, on june 2001, Afghanistan. 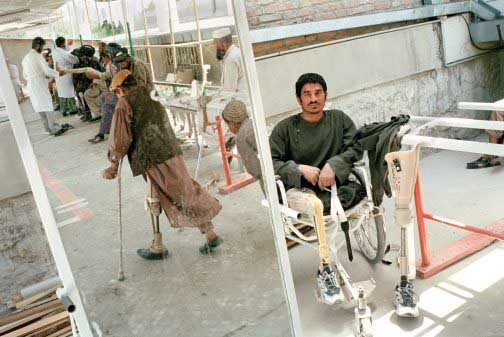 Kabul, Afghanistan - on june 2001. Orthopaedic center of the Red Cross’s International Committee. Afghanistan is the country in the world with the highest number of mines in relation to population, on june 2001, Afghanistan. Kabul, Afghanistan - on june 2001. Women shoes retailer in Kabul’s bazaar, on june 2001, Afghanistan. 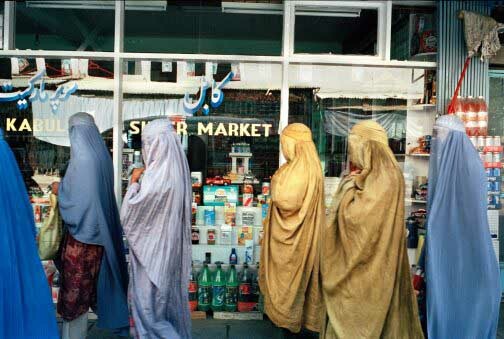 Kabul, Afghanistan - on june 2001. The Shiite area of Karte Sakhi. The area have been completly destroyed and gost past by, on june 2001, Afghanistan. Kabul, Afghanistan - on june 2001. The Shiite cemetery of Karte Sakhi area. Formerly, people, and specially women, used to go for a walk or to meet people in cemeteries. But now, access is restricted and traditional worship is forbiden. 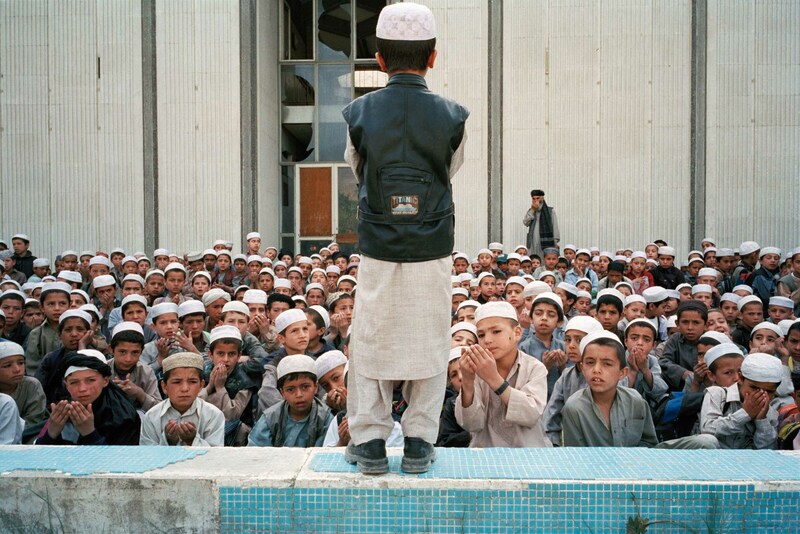 Only a few children still go there to play, on june 2001, Afghanistan. 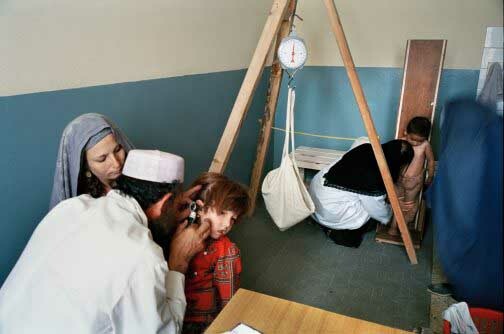 Kabul, Afghanistan - on june 2001. 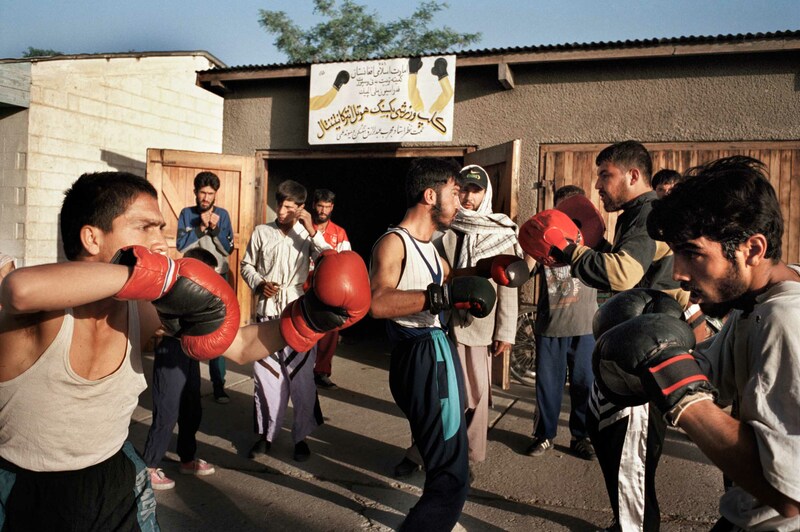 Street boxing class at 6.00 am, the sport is forbiden, having fun is forbiden, on june 2001, Afghanistan. Kabul, Afghanistan - on june 2001. 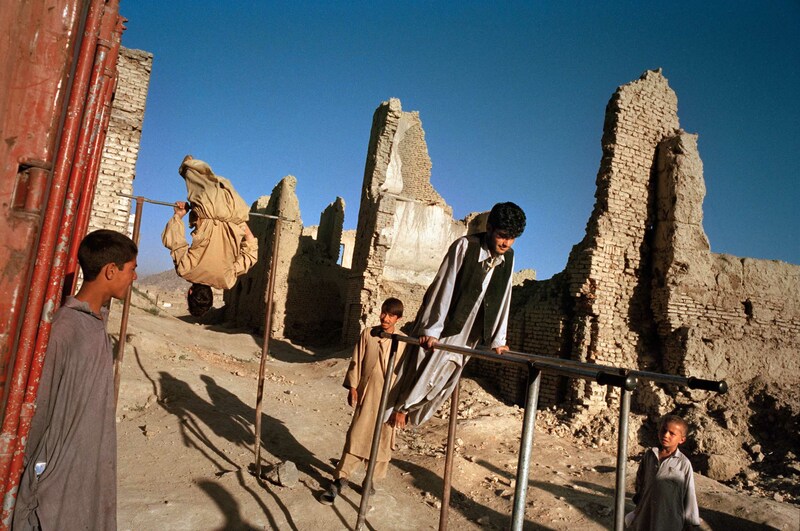 Street gym class at 6.00 am, on june 2001, Afghanistan. Kabul, Afghanistan - on june 2001. The pool of the InterContinental Hotel in Kabul, the only one left in Afghanistan, allows men only. The mollah who manages the hotel negociated during months to obtain the authorities’ agreement. The length of the bathing suits, in particular, was a huge matter of discussion, on june 2001, Afghanistan. Kabul, Afghanistan - on june 2001. Music is forbidden and instrruments are systematically destroyed. At night, musicians hide in a basement and play very low. They try to forget, at least, on june 2001, Afghanistan. 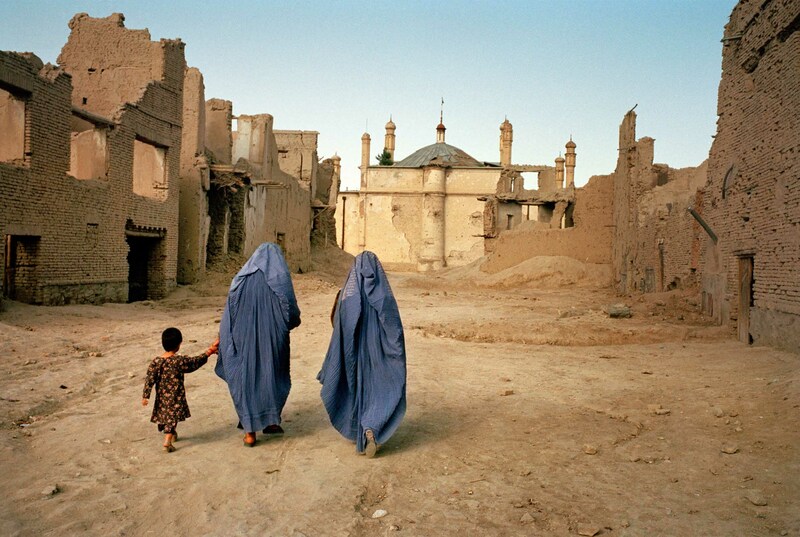 Kabul, Afghanistan - on june 2001. Exchange market. A tax on imported goods provides o lot of money to the Afghan state. 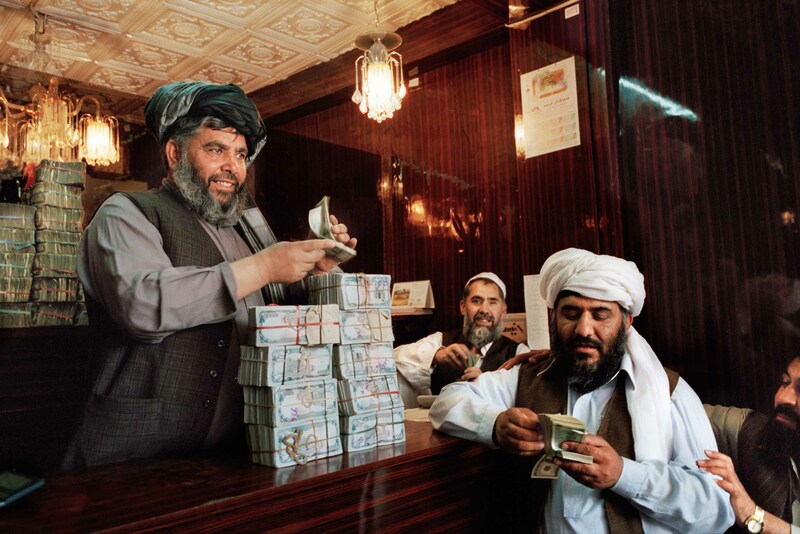 Government emissaries are used to changing foreign notes every day, on june 2001, Afghanistan.